This is a simple little thing but in the Psydex under Umbreon his P&D ability for sybcronize is written twice. On the page for Cacturne and Cacnea, It says their ability is Sand Veil. However, on the abilities page, under Sand Veil, Cacnea and Cacturne aren't listed. Ariados' Crystal animation has a frame towards the end that goes a bit funny. I don't really know how to describe it properly, but I know that it's something to do with the slide attributes. - There's quite a few like that, and apparently Animation Shop doesn't pick them up (that's what I made them in... but it looks like ImageReady will fix that problem). I've fixed Ariados, but I'll need a lot more time to fix the rest. ^^All of the above need fixings with the abilities in DP. - This is not a bug report or a suggestion. Im sure drowsie doesnt get psycic at lv 21.....I just checked on my Fr it doesnt. Chimecho's moveset-again. This time, I have doublechecked everything...I first noticed when HP Dark had 2 more stat points in Special attack, and no HP Water of power 70 could have a DV of 29. (That was before I realized that nature played in to how much the dv changed it). I then noticed that we failed to have the DEFENSE stat on it. HP WATER: Now, I'm going with the one for the stars, not the one on bottom (though, the one on the bottom may be better, as speed is probably more neccessary than defense). Anyway, same stats as above, Except Speed and SAtk. Those are 165 and 284 , respectively. (Note: I think that when the nature was changed from Quiet -> Modest, the stats weren't changed. In fact, I checked the EV spread, and it was indeed the stats of quiet). #2 should be adamant. This time, please try to not forget about stat recalculation. Actually, you may want to redo the EV spread, but whatever. 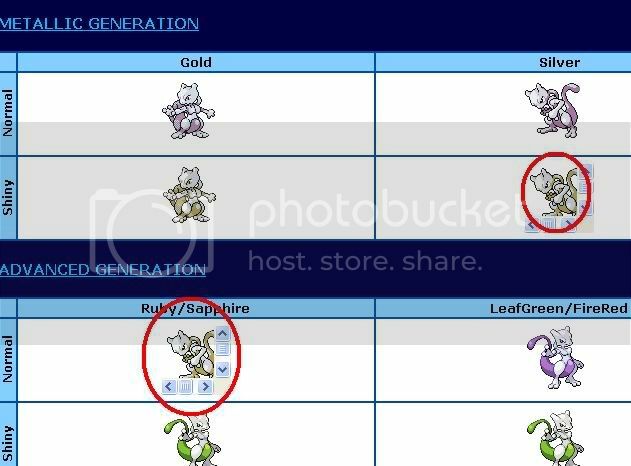 Yo, just a little thing about Mewtwo's page: the picture depicted for the advanced genaration is the same as that for the shiny version in the metallic gen. Just thought you would like to know. 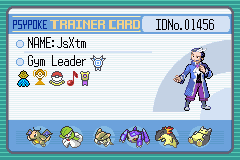 Not an error in the movesets (as far as I know), but in the coding; on Minomadamu's Pokedex Page, each time you switch to a different section, it reverts to the Grass form, instead of staying on the Steel or Ground form, if you were looking at that before. Magic Coat reads "If used on the same same turn..."
Also, I checked Minomadamu's page again, and it successfully stays on the right form, unless you go to the Picdex section; since all three forms are shown there, it's all listed under the grass form, and then it stays on the grass form. - That's just the way the page is built. I'm not sure how to easily fix that. When the nature was changed from quiet to medest, the stats weren't fixed. I had also reccomended that you should change the DV spread. Very minor but, in at least Gyarados's Psydex entry, Double-Edge doesn't have the E in Edge capitalized. Edited (nfield/22 Feb 2007): DOES THIS MATTER, SWAMPZARD? REALLY? IS IT WORTH BUGGING THE ADMINS FOR? Other sites have this Pokemon's English name as Vespiquen. Both the Pokedex menu and this page, as a few others such as its Picdex page and learnsets, etc. have it listed as Beequeen. Dunno if it's worth reporting, but meh. Happiny, as it is the later of the two. And it's also the one being reported around the net. Zap Cannon doesn't have the base power of 120, but 100. Mod Edit: Actually, it does. Zap Cannon's base power was boosted to 120 in PD, as opposed to the 100 it had in all previous versions. Location Error: Vulpix. The page says that for Emerald, you can either catch it or trade from R/S/FR; the trading part is unnecessary, because you can catch it in-game. Not a big deal, but I decided to mention it anyway. It does that for Grimersin saphire too, but for Muk it says you can ONLY get a Muk from trading, but you can find grimers in saphire. mewtwo's RBY moveset in the notes box says "mewtwo has no weak." which im sure is supposed to be weakness. Venusaur's RBY verdict says it can't learn stun spore, but slot 3 has stun spore in it. Very minor triviality, but anyway. Illumise's movesest suggests "Giga Dragin" as a move. When you move the mouse over it, no information appears as it would normally with "Giga Drain". Just wanted to point that out! I just wanted to point out that this wasn't fixed and Illumise's moveset still says Giga Dragin. - Edit: The joys of RewriteRule. Fixed 18Jul07, ty.